Teach English to children from disadvantaged families in and around Cape Town while immersing yourself in local South African culture and widening your perspective on the world. Schools in many areas of Cape Town are underfunded and understaffed and the students need help to make sure they get quality education. English is the most widely spoken language in South Africa; therefore, students must learn it from their early years. But schools attended by children from poor families often lack the necessary environment to give quality education to the students. Teaching English Project aims at enhancing written as well as spoken English language skills of these children. Volunteers can assist by taking classes, preparing curriculum or organizing various activities for the children to participate in. Join our Teaching English volunteer project now and give hope to students to achieve a brighter future. 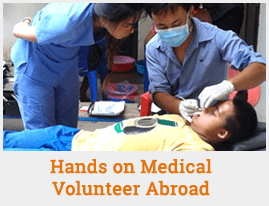 You will find the students extremely eager to learn from an international volunteer. The schools are open from Mondays to Fridays and volunteers will teach about 2-3 hours a day. You can teach either in Kindergarten, primary or secondary school. Your responsibilities will vary accordingly. In the primary and secondary level, volunteers will teach in a classroom that usually has about 40 students. You can start teaching on your own or help the local teacher. For Teaching English in South Africa, the school requires a copy of your resume, which should carefully state your credentials and educations. You must also produce police clearance certificate. Volunteers should also be motivated and should not mind working with children who can occasionally be rude or noisy. This project is located in Cape Town, the legislative capital of South Africa. Cape Town is the quintessential melting pot; a city alive with creativity, color, sounds and tastes. While walking through the city’s streets and meeting its people, you will fall in love with its natural beauty, creative freedom, and incredible spirit. Stellenbosch is located about 50 km east of Cape Town and has a population of just over 100 hundred thousand people. It lies in a hilly region and is sheltered in a valley at an average elevation of 136m. The area around Stellenbosch is known as wine country and has a very lush environment.